Born in 1951, Jean-Luc was awarded his first violin prize at the Regional National conservatoire of Toulon at the age of 14 and entered the Conservatoire National Supérieur de Musique de Paris where he won a medal for violin (first class) in June 1968. He then won the first prize for excellence in the Pierre Nérini Competition. Jean-Luc has studied under Pierre Nérini, Nell Gotkovsky, Henryk Szeryng and Max Rostal (in Bern). He played first violin in the Regional Orchestra of the Limousin from 1978 to 1986 and from 1980 in the Bernard Thomas Orchestra. He is a member of the Orchestre de chambre de Versailles and of the Orchestre Lyrique of the Paris Opera. 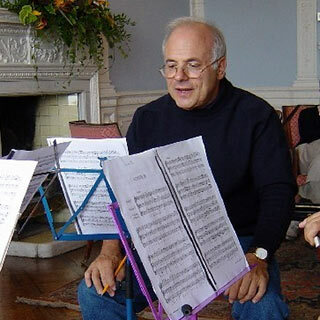 He is leader of the Borsarello String Trio, which has performed in France and abroad (Japan, New Caledonia, Malaysia, Australia, Germany and USA- 2001- ) and realised numerous CDs. In Spring 2002 they were again invited in the States. The Borsarello Trio have in their planning a tour in Québec and in the U.S.A as well as a tour in China in 2005. 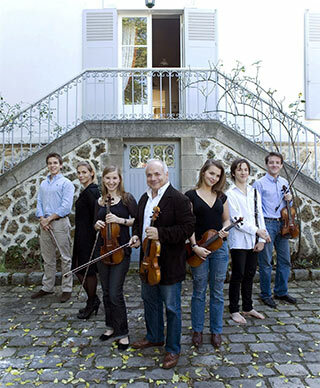 Jean-Luc Borsarello is on the permanent staff of the Conservatoire of Montgeron. Since 2004 he teaches along with his brothers Frédéric and Jacques at the CNR of Versailles. A born teacher, he has also given interpretation classes in Japan and at the Flaine Summer Academy. The rich, warm and gentle personality of this man of much great talent is reflected in his music as well as in his paintings. He is father of 6 children, all musicians.